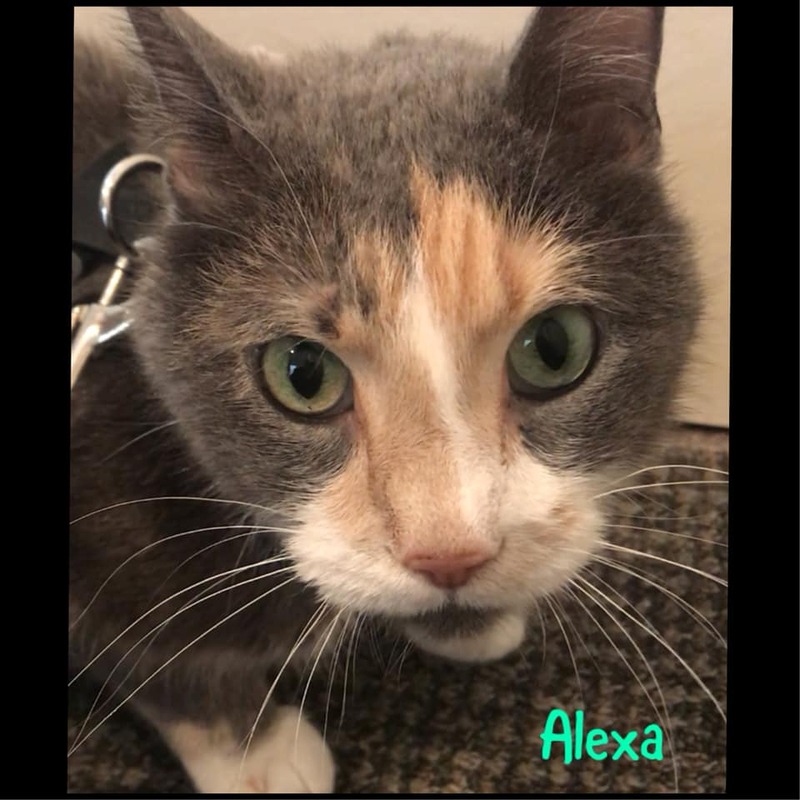 Alexa is new to the rescue and we are still learning about her personality. She's really just wants a lap to love her!! She's very scared of other animals but believe it was when she was outside she was in an animal related fight but doesn't fight them just growls and runs away so she stays away from what she's not comfortable with but believe this will even change over time. She LOVES to tell you about her day and what she's explored and then take a nap on you afterwards. She is a perfect NetFlix and chill buddy and would only ask a friendly hand to pet her while hanging out together. She is approximately 7 years old but she still has lots of love to give to a family! she is fully vetted and ready to go!